We are just two cheesy lovebirds who worked like crazy to design a life where we could be together all day, everyday. We make passive income online by creating and selling courses. Everyone knows something that others would pay to learn. We help our students find "their thing" and monetize that knowledge by creating their own online course. After setting ourselves free from the rat race, we have become obsessed with empowering dreamers (and realists too!) to break free from the daily grind. If we did it, you can do it. DILLON: Sarah and I were high school sweethearts. We've basically been inseparable since we started dating in tenth grade - ha! We got married when we were only 19 and 20...but when you know, you know. SARAH: After graduating college, we dove right into the "real world." Dillon got a decent job in corporate finance, and I was able to stay home with our newborn daughter. DILLON: My job was good, but I was unsettled. I missed Sarah, and I hated missing out on my daughter's life. Every Sunday afternoon I would get this sinking feeling in the pit of my stomach, knowing I had to drag myself to work the next day. SARAH: I always had big dreams, but as I grew up, I started to ignore them. Life became less about changing the world and more about changing...diapers. And doing laundry, grocery shopping, paying bills, and other boring adult stuff. I accepted that we wouldn't travel until Dillon retired. If he saved up his sick days, we could go on one fun trip a year. I accepted that it would take us years to pay off our student loans. We could make our minimum payments if we stuck to a budget, and I was thankful. I accepted that I had married my best friend, only to see him on nights and weekends. We would just pack all the snuggles and laughter we could into our time together. DILLON: I had seen the success of other entrepreneurs online, and it lit a fire in me. I would constantly daydream about breaking free from corporate so I could be with my family. I would listen to podcasts on my commute to and from work each day, and the dream felt more and more possible to me. Everyday, when I came home from work, I would tell Sarah something new I had learned. SARAH: It all seemed too good to be true. These entrepreneurs were able to work from anywhere in the world (as long as they had wifi). They worked their own hours, made a ton of money, and were able to impact thousands of people through their businesses. I felt like they had magical superpowers or something. I honestly didn't believe it was possible for us. SARAH: I didn't understand how these entrepreneurs were so successful, but I couldn't get rid of this nagging feeling that I was meant for more. So, while I was home with my daughter, I gave business my best shot. I tried network marketing, blogging, consulting...you name it. I poured my heart and soul into my business endeavors...but nothing took off. The whole entrepreneur dream felt more and more impossible each day. I was so tired of wishing and waiting for my business to take off. It felt pointless. 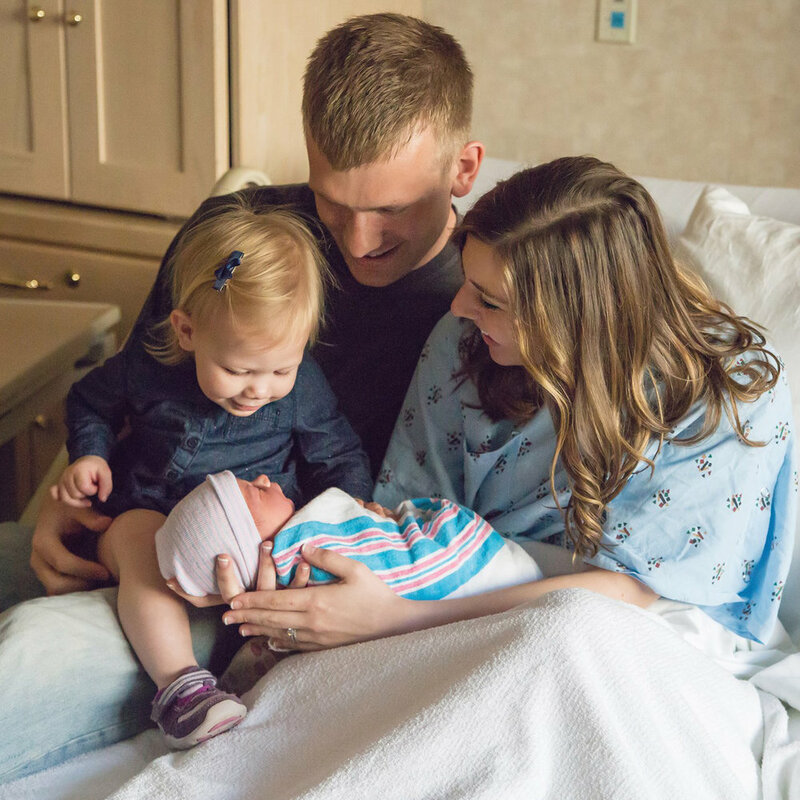 DILLON: When we found out we were expecting baby #2, something shifted. The business guessing game wasn't going to cut it anymore. We were just wasting time. We needed to either let go of this dream, or fight for it. So we invested money that we didn't even have into a business coach, who could show us how to make it happen. Timing didn't make sense. Sarah was pregnant and exhausted. I was really busy in my corporate position. But we went for it anyway. SARAH: We sacrificed everything to make it work. It was not easy. But, only six months in, we replaced Dillon's monthly income and he was able to leave his corporate job. 13 months in, we hit the half-million dollar mark in our business! DILLON: We quickly found out that being an online entrepreneur doesn't equal freedom. We were slaves to our virtual clients, and became burned out. So, we decided to scrap our business model and risked everything (again) to switch to a 100% passive business. It was scary, but in the first 10 months, our automated online business generated $400k in passive income. 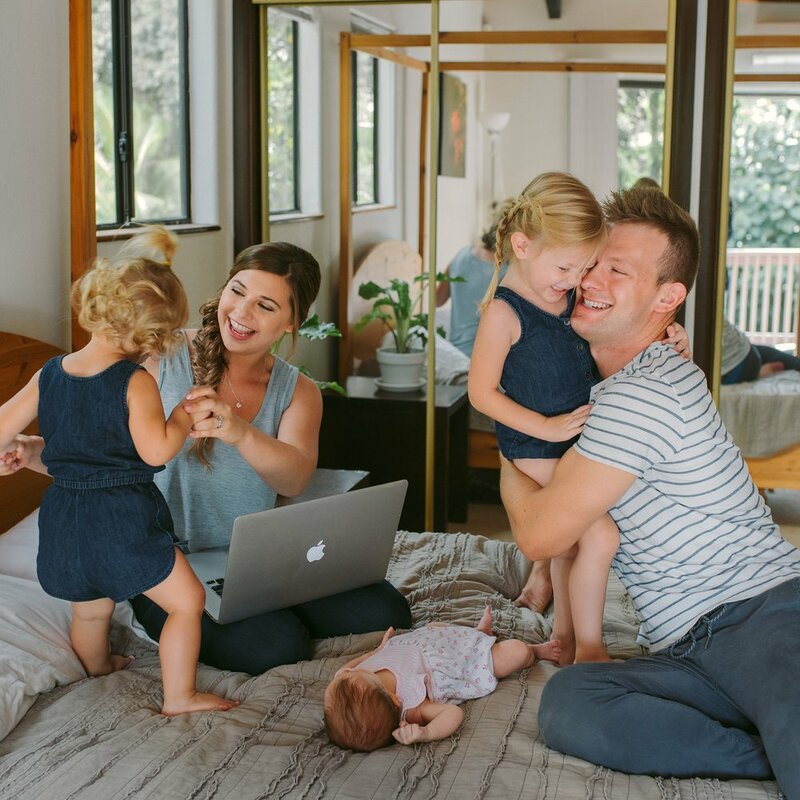 We make money while we eat chicken quesadillas with our toddlers, go on a hike, or watch Netflix...and even while we sleep (it's the coolest feeling in the world to turn off your phone alarm in the morning and see email notifications that a payment has been made). SARAH: Now, we are obsessed with helping dreamers (like Dillon) and realists (like me) break free from the daily grind by creating their very own automated online business. We have had the opportunity to support hundreds of our students in creating a life that feels too good to be true. We are so thankful for where God has brought us, and we are so glad you found us!